AIG Private Client Group, a division of the member companies of American International Group, Inc. (AIG), offers complete solutions for successful individuals and families. Personal insurance coverage—for homes, art and other valuables, automobiles, excess liability, yachts and more—is augmented with services and expertise to minimize property damage and bolster safety. artnet is the world’s leading resource for buying, selling, and researching art online. From the latest breaking news to live online bidding, powerful art market tools to partnerships with leading institutions, artnet brings the art world together on one seamless platform. Founded in 1793, the Bonhams Group maintains an extensive international network of showrooms in the US, UK, Europe, Japan, Hong Kong and Australia. With over 600 auctions per year in more than 60 specialist areas, Bonhams offers auctions in more collecting categories than any of its rivals. The Clarion List is the leading online resource for discovering art companies. Our searchable, sortable, free database with ratings and reviews includes thousands of art companies across dozens of categories. We help art companies like art appraisers to broaden their reach to a global audience in need of their services. Collector Systems is the leading cloud-based management solution for appraisers, providing the tools you need to efficiently manage your appraisals. Upload all object information with an unlimited number of images and documents. Add comparables and customize templates to create USPAP appraisal reports for your clients. 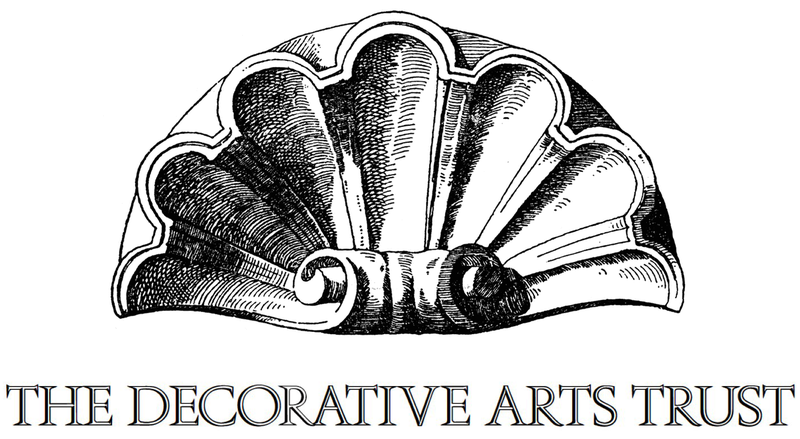 The mission of the Decorative Arts Trust, a non-profit organization, is to promote the appreciation and study of the decorative arts through the exchange of information during domestic and international programming; collaborations with museums and preservation organizations; and underwriting internships, research grants, and scholarships for graduate students and young professionals. Find Art Experts is a customized directory of art, auction, and appraisal professionals in a variety of specialties and categories. We are your partner in promoting your business and growing your exposure to a global network of clients in search of the services and expertise your company provides. Go to www.findartexperts.com to receive a three month free trial membership in our expert directory database. FineArtEstates.com (FAE) is an online fine art marketplace designed to efficiently sell artist’s estates and both private and public collections while providing everyone unprecedented transparency into the sales process. Freeman’s Auctioneers and Appraisers services clients in the buying and selling of all manner of fine art, books, decorative arts, furniture, antiques, and jewelry . With international experience and comprehensive knowledge of market conditions, Freeman’s specialists work closely with consignors and collectors to offer unparalleled personal attention and results. Heritage Auctions is the largest auction house founded in the US, and we are the undisputed Internet leader in our field. Our knowledgeable staff of 125+ experts in 40 art and collectible categories, and our suite of auction and private sale services, help our clients curate the best collections possible. Since 1948, Higginbotham has served the insurance needs of thousands of individuals and businesses across Texas and beyond. The mission of the Higginbotham insurance group is to collaborate as one cohesive firm with one unifying mission: To exceed the expectations of our clients, employees, carriers and communities in a partnership to deliver a Single Source for insurance and financial services. Jackson’s International is one of the premier providers for the sale of fine art and antiques. For over 40 years, Jackson’s has assisted and consulted with appraisers, gallery owners and brokers to successfully bring an array of fine art and antiques to market. Our resources are focused to achieve superior results for our clients. Since 1969, John Moran Auctioneers has brought together buyers and sellers of decorative and fine art, jewelry and fine furnishings. We operate from core principles of approachability, transparency, and honesty in words and deeds. We strive to treat every consignment as our own, and offer a customizable, boutique approach towards consignment, estate liquidation, and valuation services. Quinn's Auction Galleries serves the entire Mid-Atlantic region from three locations in Falls Church, Charlottesville & Salem, Virginia. The group conducts over 112 auctions annually, including weekly Treasure Auctions, Collector’s Series Auctions, and high-end Estate Catalog Auctions. Quinn’s subsidiary, Waverly Rare Books, conducts 9 Rare Book, Map, Print and Autograph Auctions annually. The Sotheby’s Institute of Art is the global leader in art business education. With campuses in New York, London, Los Angeles and Online, the Institute offers a range of opportunities, from individual courses to fully-accredited masters’ degrees in art business, art history and connoisseurship. For more information, visit: www.sothebysinstitute.com. Stratton & Sons has been family owned and operated since 1973. We deliver dependable, high-quality moving, storage and crating services. With our generations of experience and attention to detail, the Stratton team vows to deliver the best experience to all our clients and it shows in every move we make.